Yesterday I remembered the wacky walker leash and walked my dog, Seiki on it for the first time. It was great. It was much hard for him to pull and I had a blast. He just wasn’t able to pull. This leash is not for lunging dogs or for dogs who get overexcited on the leash. 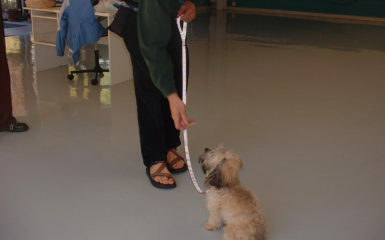 It is great for moderate or minor leash pullers. The leash is similar to a bungee cord. When your dog pulls on the leash the leash stretches and eventually the pressure becomes strong and the dog cannot keep going forward. 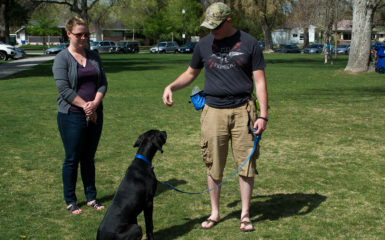 The leash actually gently guides your dog back so that there is no leash tension. Also when your dog pulls there is no jerking on your arm. Always hold the end of the leash. Do not shorten the leash. When your dog pulls stop walking. C/T (click and treat) when your dog looks back at you and is no longer pulling. Then start walking again. 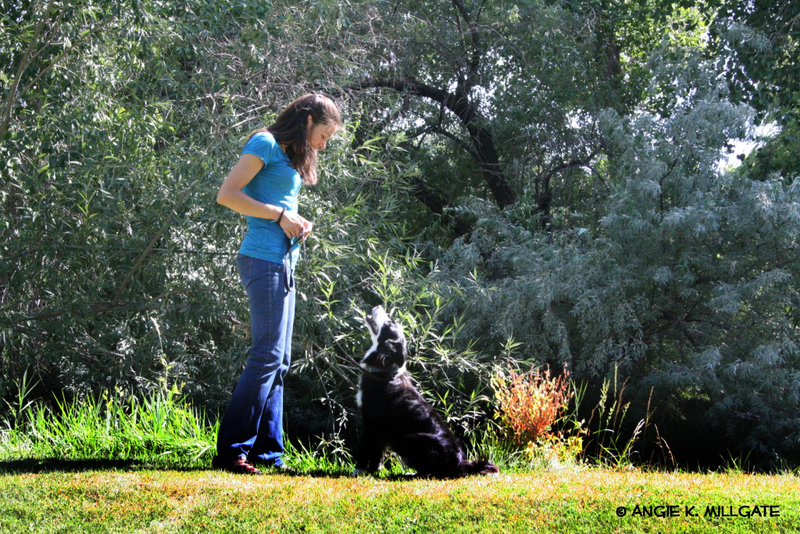 Say “easy” and C/T when your dog is walking nicely on the leash and not pulling. Once again this leash is not for strong pullers or for dogs that lunge. Because the leash extends when a dog pulls the dog can be flipped on his back if he pulls too much on the leash. This is very unlikely for moderate or minor leash pullers. 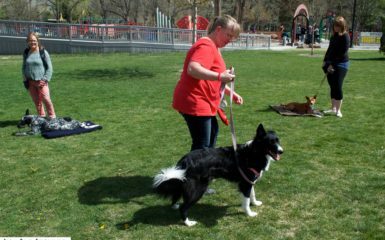 Also the leash does put pressure on the collar when the dog pulls so for extreme pullers it will be too hard on the neck. 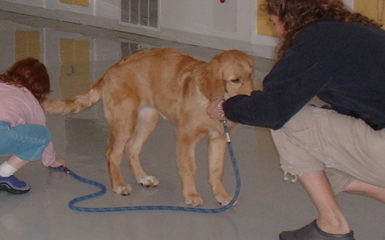 Contact me for my questions or how to use the leash or for a wacky walker lesson. You can buy the leash at www.wackywalker.com.